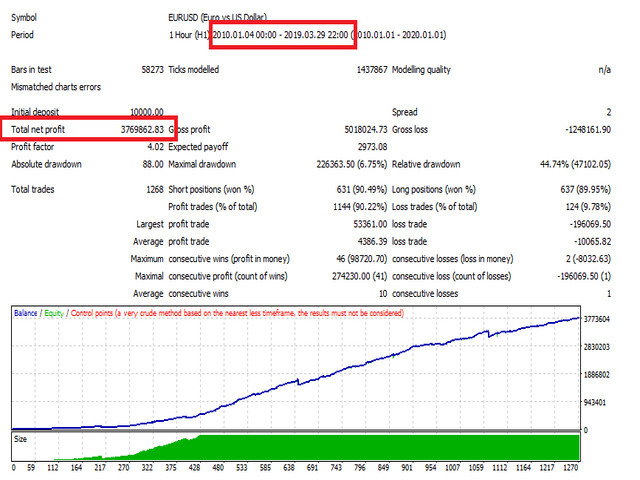 Pattern scalping expert for EURUSD. Own development, an author's algorithm on search of an entry point and support of the deal. An expert was developed on independent selection of data, optimized and was applied to trade in real time. Forvard-test: 2014-2018. LOT - lot size at trade on the fixed lot.